Harrap’s Standard Learners’ English Dictionary shows the pronunciation of the adjective 'uncooked' as [ʌnˈkukd] while Oxford Learner’s Dictionaries (’’) as /ˌʌnˈkʊkt/. When you say it each way, can you hear much difference? The same way that words can be spelt/spelled differently - in the end there is not much difference. Doesn't everyone who is cultured and properly educated? Yes, I originally thought it related to the vowel, before I saw the coloured part. I was going to say the difference was about 50 miles. The pronunciations given in dictionaries are 'standard English' spoken in parts of south-east England. That includes London, but most people in London came from somewhere else within at least a couple of generations, so that doesn't really count. 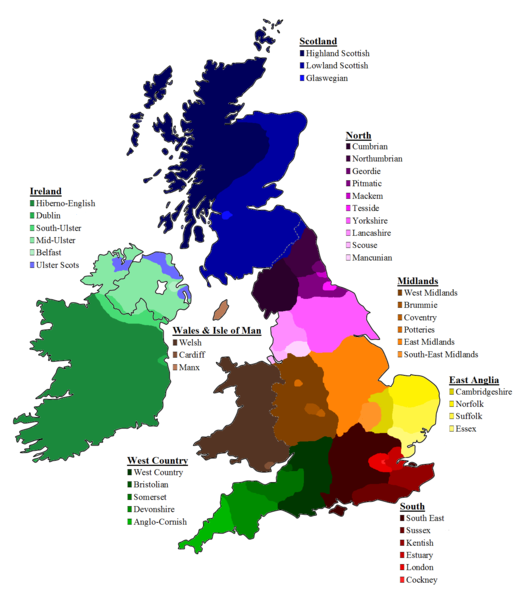 Most of Britain does not speak standard southern English! even the simplest distinction of dialect shows how unrepresentative it is. AE makes the ending sound "d"; BE uses "t". This is a general rule only. AE can use the "t" sound with some (<< vectors of importance pointing at "some") verbs, primarily those that end in "n": burnt, learnt. (I think, there may be others.) It is not very common, and if we use it it is spelt (<< another one!) that way. "Spelt" is, however, driving my AE spell check nuts. This usage is not common in AE, just not wrong. We'd not use it on "uncooked". It may be that what are called "syllabic consonants": l, m, n, & r, that can replace vowels, may be followed by "t" for past tense. I cannot think of any "r" endings just now, though, that take a "t", and I've no evidence this is actually true. It's just that the words I can think of where one might use "t" in AE seem to fit that pattern. My normal speech often uses an indistinguishable d/t sound (even I can't say which it sounds like) with many verbs. Now I've listened to myself a bit . . .
Spelled and spelt, burned and burnt, learned and learnt - - - seem to tend more towards a 'd' when followed by 'a', but more towards a 't' when followed by 'the', so it's obviously a case of which is more natural as a transition from the previous syllable and to the following one (in my case, but that's probably fairly common). In 'normal not-too-casual' speech, it could sound like "learn t-the poem". If I were to slip into Lancashire colloquial, it would be "learn ʔ'poem" (with nothing more than a glottal stop/plosive). I learned a lot of poems at school. This is always (casual, formal or dialect) "learn d'alot". The transition between 'n' and 'd' seems more of a pause than the gap between the words. Stress also plays a part. I learned THAT poem, but not the other one. From the couple of examples I can think of, verbs ending "r" seem to always have a "d" sound. There also seem to be a disproportionate percentage of irregulars ending with 'r'. The stain marred the surface.